Anyone wanting to save when buying Tesco Easter eggs can pick up money off when they shop through TopCashback. As long as it’s your first time shopping online with Tesco, you can pick up all your Easter essentials for a little less using our cashback bonus. 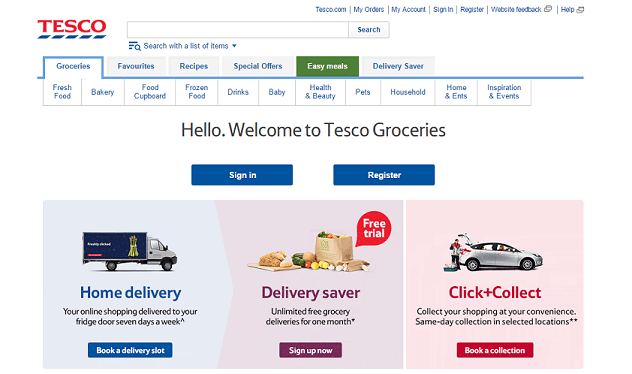 Once you’ve signed up, click the ‘get cashback now’ button to head over to the Tesco Groceries site. You’ll find that the easiest way to shop the Easter range is by searching for it using the search box, or by heading over to Tesco’s dedicated Easter page. It’s here where you can shop a huge range of Easter eggs and easily filter them by size or dietary requirement. Those seeking vegan Easter eggs can pick from Tesco’s Free From range, which features no dairy, but also includes Free From gluten or wheat options too. If you wish to seek out luxury Easter eggs then you can find another great selection from Tesco; choose from their own Finest range featuring Belgian chocolate or pick from well-known brands such as Thorntons or Lindt. Don’t forget to check out some of the Tesco Easter egg offers too. Last year you would have seen an excellent multibuy deal of three for £10 on medium eggs from big brands like Cadbury, Mars and Nestle. Plus, If you had been after a great deal to gift, then you could have seen Easter Egg and mug sets for just £2. Another of the great offers featured three for £1 on small cartons of Cadbury Mini Eggs, Malteser Bunnies and Smarties, which was perfect for parents looking to set up an Easter egg hunt for the kids. This year, Tesco is sure to bring you the same great Easter deals as well as more, so be sure to shop early to get some of the best. Besides Easter eggs, shoppers can get their hands-on other Easter supplies in addition to all the chocolate with the likes of crafts, decorations, Easter trees, hot cross buns as well as all the ingredients for a terrific Easter Sunday lunch.